A one day workshop visiting the beautiful Exmoor National Park making images. The workshop is suitable for keen photographers who know their way around a DSLR or a beginner with a new Digital SLR camera, just let us know when booking. 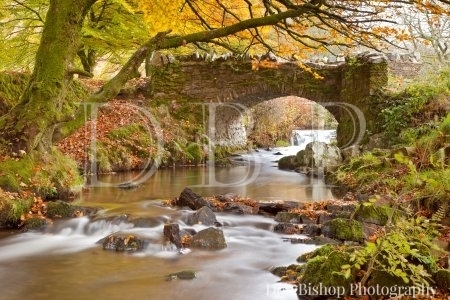 These workshop days are held in the wonderful Exmoor National Park. We will visit 5/6 locations during the day (approx. 8 hours tuition) where I will give you tuition and guidance whilst you practice the art of taking quality landscape images using your SLR camera and tripod together with any filters you may have. If you are not already a seasoned photographer and don’t know your ISO from your f stops using your new digital SLR camera to its full potential can be a bit daunting. SLR cameras are able to give the user full creative control of their picture taking as well as using auto modes, just like on a compact, when the situation suits. The course will include transport around the locations selected where the light will be good for the shot planned. Available dates are listed below, but we try to be as flexible as possible with these workshops to try and fit your requirements, as we all lead busy lives these days, so if these dates are not suitable please contact us. Dates are available most of the year. Cost shown is per person on a one day basis, but you can book 2 or 3 days at a reduced rate per day if you wish, just contact us to discuss. Cost for this workshop will be £174.00 per head. What Workshop Courses Are Available? Courses are offered on dates throughout the year with personal tuition given on the small group workshops or you can opt for a 1-2-1 workshop. When you book a workshop we acknowledge your booking in writing and you can either book the date straight away, or in the case of the “Light & Mood” Exmoor and Dorset Coast workshops you have 12 months in which to take up the workshop by simply calling us or checking this website to arrange a suitable date. Alternatively you can book one of our pre arranged non-residential workshops to scenic areas of the UK, which are listed below when available, and join other like minded photographers where you can also share ideas and experiences to further improve your photography or simply enjoy time out making images without fuss or hurry. Workshops are limited to a maximum of 4 participants (unless otherwise specified) to ensure you get personal tuition and the opportunity to get the most from the chosen locations. Most workshops last for approx 8 hours, but the multi day ones are sometimes longer depending on the time of year. Don will personally take guide you around a number of location through the day(s) in areas he knows well and take you to places where the light angle will be good for photography at the chosen time. We also try and avoid crowds of tourists to amke you photography easier and more enjoyable. Whilist you need to be reasonably fit to attend the workshop days there are not long walks or ardious uphill sections on most workshops, you will be advised if a particular workshop is likely to include such “exercise”. Light & Mood Landscape workshops – Dorset coast or Exmoor. Digital create & complete workshops – 2 days with 2nd day 1-2-1 in our gallery. Non-residential multi day workshops – 2 or 3 days in scenic areas of the UK. Photoshop processing & printing workshops – usually in conjunction with or as a follow up to another workshop. Held at our gallery. We also offer one to one workshops and photo tours to many parts of the UK, for both individuals and small groups. These tours are arranged to suit participants own requirements and wishes, and can include such locations as Snowdonia, Pembrokeshire, Lake District, Northumberland, Yorkshire Dales, Scottish Highlands or Western Isles as well as more regular Dorset coast, Exmoor and Cornwall options. The workshops/tours will be costed to ensure we are able to meet your requirements and to include accommodation and travel costs for Don, as your tutor, and will be agreed and paid in advance. Sorry but we are unable to offer any poor weather clauses with this option due to time commitment and accommodation needing to be booked in advance. These tours can be very enjoyable and rewarding trips to make images in some of the more beautiful and remote parts of the UK. Call us to discuss this option. Fixed date/location workshops – as per details on this page. All prices above are inclusive VAT @ 20%. The workshops can be booked either individually or for a small group booking together a discount can be applied, please call us to discuss your requirements. All courses/workshops can be booked on line via our secure payment facility or call us by phone on 01823 490952. Book photo workshop either online via this website under the workshop headings below or call us to book over phone. You can book a date immediately if you wish or wait and book the actual date later. Receive written confirmation from us of your workshop booking. If the date is not already booked, call us when ready to arrange a suitable date from those we have available. This date is booked into our systems and we call you a couple of days before to ensure you are fit and well for your workshop and make final arrangements on a meeting place/time. If the weather forecast is bad you can postpone if you wish, as we would rather you enjoy a day out with your camera in reasonable weather than getting cold and wet! If booking a multi day workshop away (i.e. NOT the “Light & Mood” Exmoor or Dorset coast workshops) a deposit is all that is required to secure your place, with full payment being due 1 month ahead of the workshop. This is however non refundable. Workshops are limited to a maximum of 4 participants (unless otherwise specified) to ensure you get personal tuition and the opportunity to get the most from the chosen locations. Most workshops last for approx 8 hours per day. Your own SLR camera – film or digital but digital obviously has advantages in seeing what you have taken whilst out on the workshop. Your lenses – wide angle is usually best for landscape work. Any filters you have in your kit. Remote release switch if you have one – if not the delayed timer can be used instead. Suitable clothing and footwear for being out and about in the countryside/seaside. Multi day courses will obviously require some overnight accommodation to be arranged and we can help you to find, or book on your behalf, a suitable bed & breakfast guest house. The cost of this is not included in the course fee and payment is the responsibility of the client. The multi day workshops to various locations away from the West Country do not include accommodation as we find that clients often prefer to make their arrangements to fit in with personal/family life. If you have booked a “Light & Mood” flexible days workshop session and when the date for your course arrives the weather forecast is particularly poor you can contact us to discuss the option of postponing, no charge will be made for doing this in these circumstances. Where our pre-arranged workshops on fixed dates are concerned this option does not apply.